It's appropriate to lock a conversation when the entire conversation is not constructive or violates your community's code of conduct. 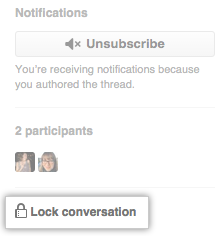 While a conversation is locked, only people with write access and repository owners and collaborators can add comments. 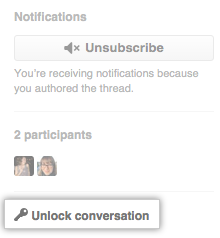 Optionally, write a comment explaining why you're locking the conversation. 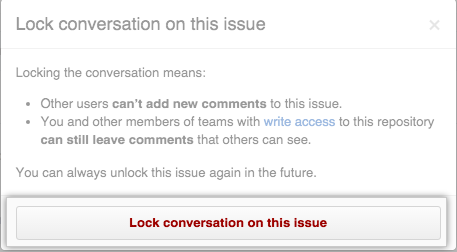 In the right margin of the issue or pull request, or above the comment box on the commit page, click Lock conversation. 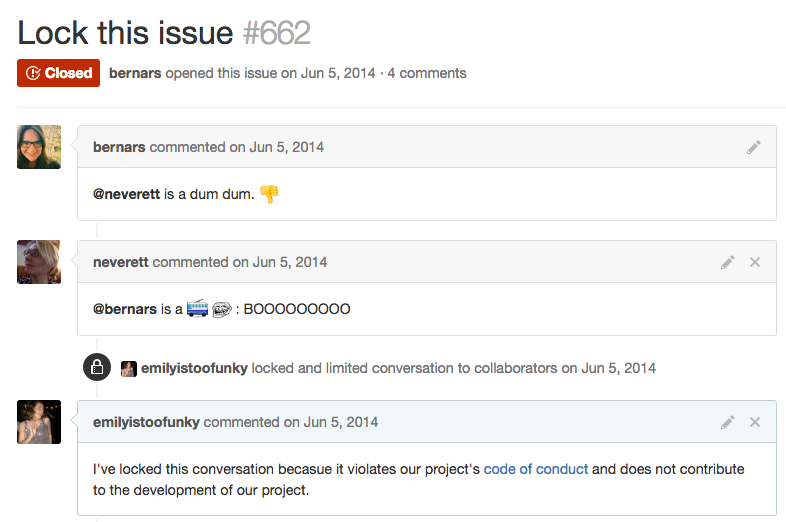 Read the information about locking conversations and click Lock conversation on this issue, Lock conversation on this pull request, or Lock conversation on this commit. When you're ready to unlock the conversation, click Unlock conversation.